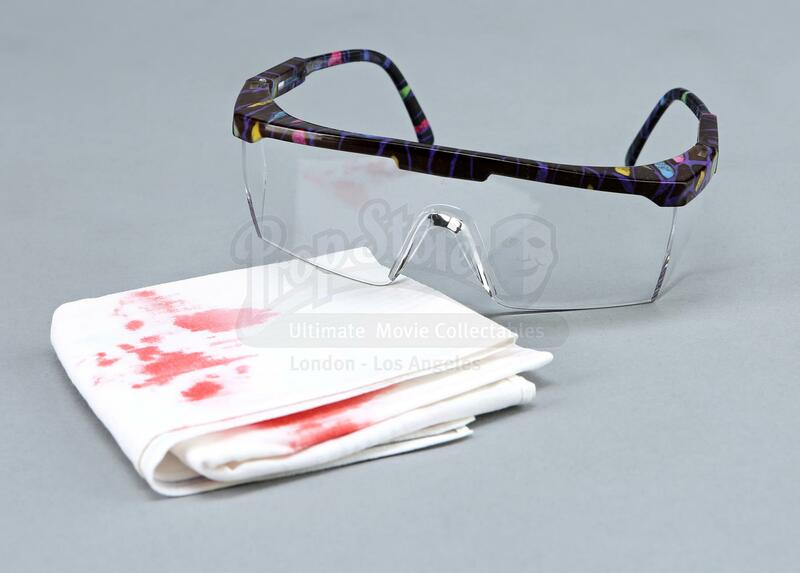 Agent Dana Scully's (Gillian Anderson) autopsy goggles and bloody handkerchief from the sci-fi drama series The X-Files. 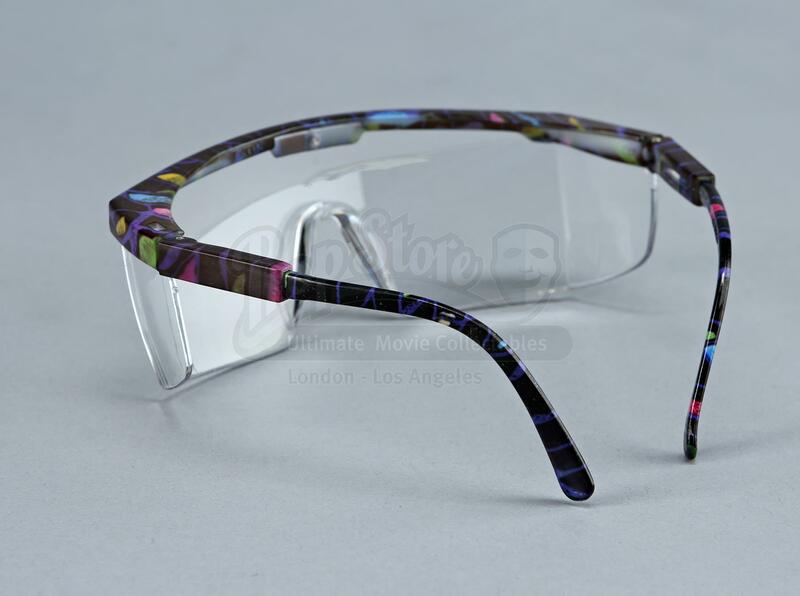 The wraparound goggles have clear acrylic lenses and a multicolored (black, blue, pink, yellow) frame. 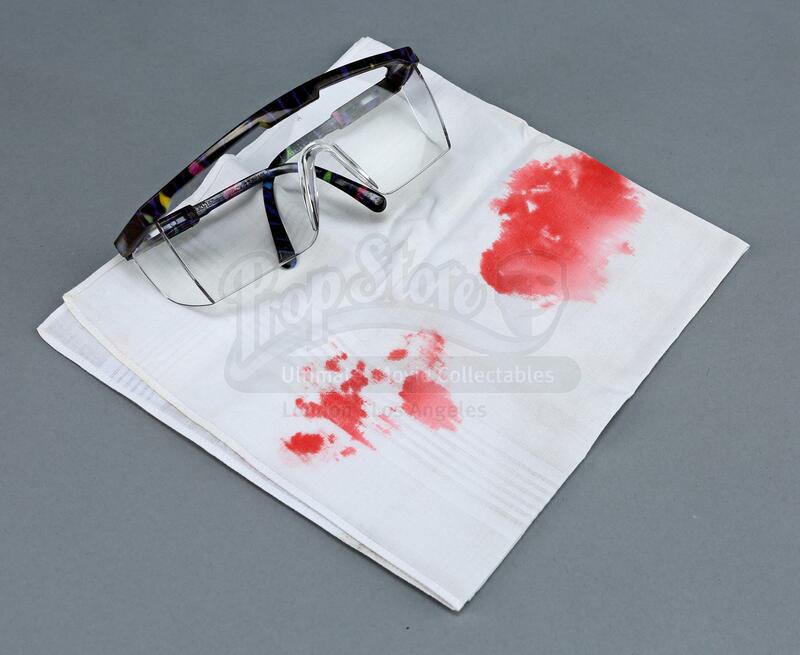 The white cotton handkerchief is stained with faux blood on top of the fold. These pieces exhibit some signs of production use, but remain in very good, production-used condition overall. 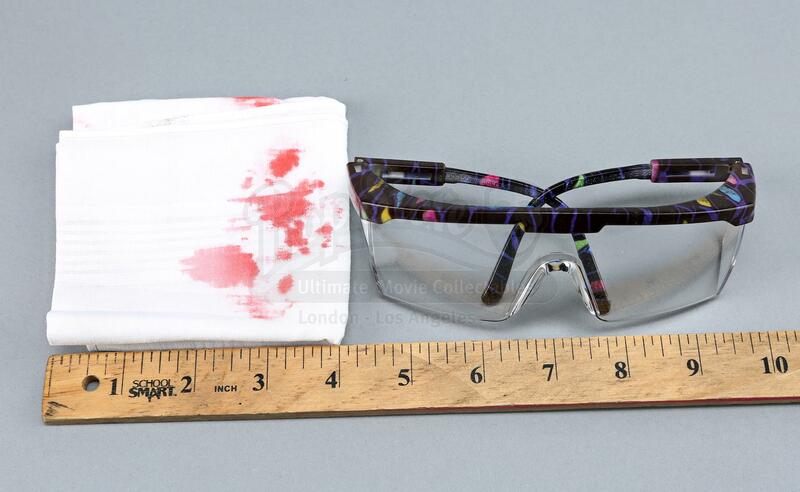 Throughout the series, Agent Scully uses various goggles to conduct autopsies on corpses from her mysterious investigations. 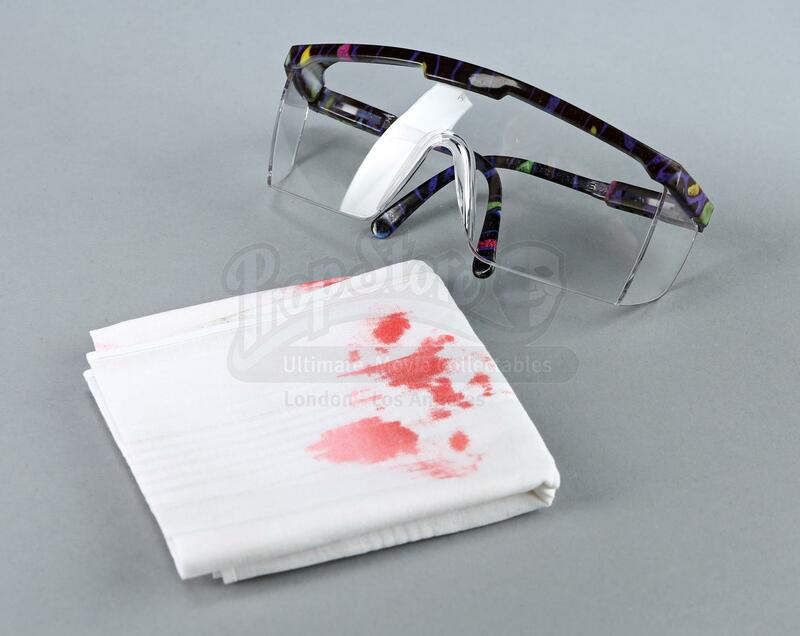 The blood on the hankerchief is her own, the result of her cancer.